A few quick searches didn’t turn up a thread of this nature, so here it is, the dedicated Netrunner Flavor thread. I like having discussions of this nature, not to mention that other people can see flavor and fluff that I miss, and I like seeing all the connections between different cards and the like. For instance, looking at Big Brother the other day (don’t ask me why, I don’t know myself), I noticed for the first time that Chaos Theory is the child in the picture - I just never noticed Dinosaurus in her hand, and the robot thing covers the side of her head that’s mostly shaved. But hearing about the different flavor stuff people like is interesting too, so everything flavor related that’s actually on cards or in packs (like the paper that comes with packs/boxes), is all on the table. A few of my favorite flavor things include Valencia (having a good-gal runner, in Anarch no less, is awesome), Kit (who continually reminds me of Technomancers from Shadowrun, interacting with the code in a strange new way), and Biotic Labor (who’s flavor text is exactly I would expect from a mega-corp). So, find any strange or new connections between cards, or have favorites you just like to talk about? Share it here. For everyone that contributes, thanks for your time and effort. There’s a pretty decent amount of trivia like this available on Ancur. I look forward to adding anything that comes from this thread as well! I’m really digging the cyber-noir especially as compared to cyber-punk. I feel like FFG has done a great job including enough “light” things to balance out the “dark”. 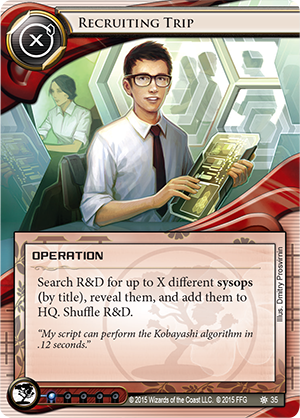 Cards like Space Camp, Mental Health Centre, Medical Breakthrough, makes it feel like there is good is the Netrunner universe worth fighting for. There are cards where you’re outright murdering people (Scorched Earth, Traffic Accident…) blatantly spying or stealing data (Invasion of Privacy, Big Brother) and other illegal/unethical/evil things. But my favourites are the ones that show how capitalist society commodifies human life. Like the flavour on Reuse or Sacrificial Clone or Broadcast Square (why are non of my favourite flavour cards playable?) My personal favourite is the mention in the Fear and Loathing insert (I think) about how Weyland knew that their fracking efforts were likely to cause an earthquake/tsunami. Their response? To take out specific insurance policies on all their nearby costal buildings. And they cleaned up on the repair contracts, and obtained government subsidies to do so. That’s the kind of evil I want to be fighting / committing. And then there’s the cards that are so relatable to modern life. The advertisements, the blasé attitude towards the government, the day jobs to make ends meet. FFG’s done a really great job giving us a glimpse into a livable universe. Underway flavour insert confirms that SanSan uses celsius. Do FFG accidentally make Déjà Vu and The Twins’ flavor text be the same or is it intended to be that way? If it was worth it the first time (Deja Vu), why not the second time (The Twins)? I think a huge part of this is William H. Keith’s doing - just like he pretty much singlehandedly started the Battletech universe with the Gray Death Legion books, he’s done a supremely stellar job with Free Fall - the opening part where the protagonist does all the legwork while en route to the crime scene is what made me go “yeah, this sounds like a livable universe”. And the most awesome thing is: if you’ve played the boardgame, you can actually see the moves in the book. It just reads like a particularly exciting AAR. Of course, the original boardgame has quite a bit of fluff and some glimpses at the greatness to come, but it’s all more character-focused. I’ll go to my grave believing Inside Job is a blatant Transmetropolitan homage. I want that guy as a runner ID so freaking bad! His console can be the Chair Leg of Truth. The only runner card that can deal meat damage to the corp! Thanks @tvaduva! I assumed it was Akitaro and Hitomi in the photo. If only we knew who the Easy Mark was, other than “kid”. I don’t really know how you’d do it, but I love seeing the chronology of characters, and would like to see the characters at different points in their lives. We can already see this with The Professor on the agenda Character Assassination. His exile from Levy U, and then he becomes the runner we see on his ID. Maybe an older Chaos Theory, Andy from before she was dispossessed (not to mention where she’s from, those the fictional nation New Angeles is in have an aristocracy? ), an older Midori and Kate still battling in cyber-space into their fifties or something like that - I think fluff along those lines would be really neat. Particularly with the “old enemies” trope. Midori (or whoever) has been trying to stop Kate for years and years - sometimes she gets the better of Kate, sometimes Kate gets the better of her. After 2 or 3 decades of battling in cyber-space, they finally decide to hang up the rigs, and retire in peace. One calls the other up, and they sit down for drinks and talk about “the good old days”, before Elizabeth Mills blew up the world to kill one person. I particular think the battle between sysops and runners is really interesting, and I’d like to see something dealing with that interaction from time to time. But do Kate and Midori then play Netrunner during their sit-down for drinks? And does Kate always win because they both insist on playing as themselves? Maybe Midori can go rogue someday and get a runner ID, too. It’s a pretty basic one, but I love that Elizabeth Mills is the reflection in Scorched Earth. Mmhmm. I like the implication in her game effects too - you lose a BP by rezzing her, probably because she actually is a good city planer, and improve the lives of ordinary citizens, but when the company needs some place taken out, her extraordinary methods for doing so are harmful to many, and you get that BP right back. Her evil smile on Scorched Earth is further evidence of that; how far she’s willing to go to remove the obstacles to Jack Weyland’s vision of “progress”. Not a literal aristocracy…from Free Fall: "And now a ristie—the word came from “aristocrat” and referred to any of the ultra-rich denizens on the tops of their klick-high arcologies—had been offed in a spectacularly messy fashion." And New Angeles is in the U.S.; the government just bought a huge chunk of territory from Ecuador. Good to know, I always assumed Aristocrat in the literal sense there, like she might be from a noble family in England or some such. I had a Shadowrunner like that once, but without the nobility. Hmm, do you know why she was dispossed, @ovamod7? No idea, I’m afraid. Hopefully we’ll find more over time, but for now she’s as mysterious as Exile. I think Exile lost his love of the life (Motivation) and then started cybercrime. Kinda like Edward Kim. Why he is called Exile, I don’t know though. Exile can be seen in the room to the right of the bioroid on the C&C box art; he looks like he has doubts about the project. to me this always implied that he had been “exiled” from HB (or from the scientific research world in general) for speaking his mind about corp practices. 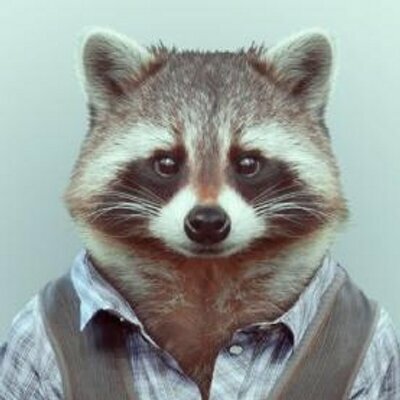 I always assumed he was justly exiled from proper civilized society for being a filthy hipster. I disliked hipsters before it was cool to dislike them. As for Exile, I think that he might be a Haas. He looks similar to Thomas Haas to me, maybe a half brother or an older brother who left it all behind and chose to live on the streets and strike back? I think Thomas knows and that is maybe his ties with Human First, and the Hostage card.